Expect ski service of up-to-date technology: The skilled team at INTERSPORT Ettinger Sport Platz/ Pick, featured with years of experience, knows the importance of optimal maintenance of winter gear. By modern machinery and the best of our know-how, your equipment is brought into the right shape for your winter holidays in Davos Platz. 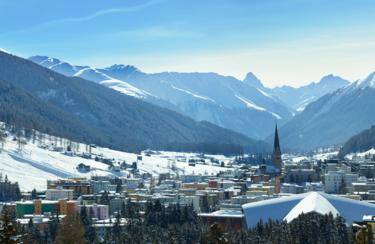 320 km of slopes - in Davos you can experience endless skiing action. A day on the slopes is stressful enough, but additionally having to endorse the equipment - not necessary! At INTERSPORT Rent you can not only rent ski equipment, but also leave it in safe custody overnight. Try out the different models, from traditional to trendy ski brands, and find your favorites with the help of the expert team at INTERSPORT Ettinger Sport Platz/ Pick!